We use best material and alloys to fabricate the machine. Also, latest production technology is used by us which gives marvelous results, owing to its innovativeness and research orientation. 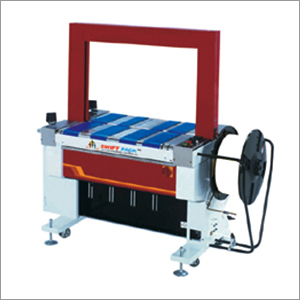 Owing to new research technologies, this online version of strapping machine can used in combination with other machinery / equipment; although this stand-alone model is self sufficient enough to deliver desired packaging results. Material of construction is aluminum alloy and others.